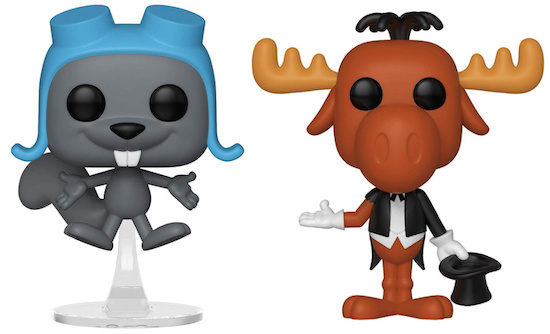 Moose and squirrel unite once more in Funko Pop Rocky and Bullwinkle. 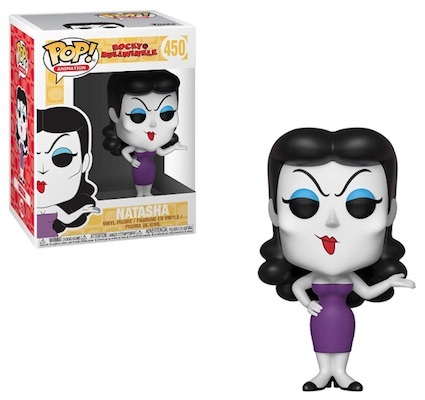 The vinyl set offers multiple versions of the popular duo as part of the Pop! Animation line. 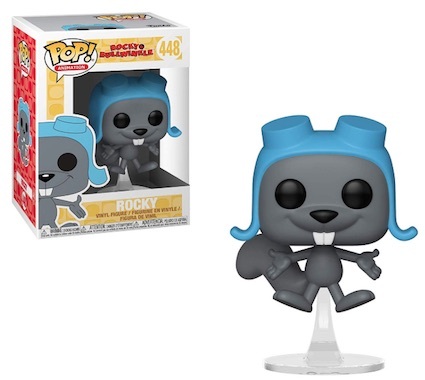 The first Funko Pop Rocky and Bullwinkle figures came in 2014 for both Rocky and Bullwinkle. 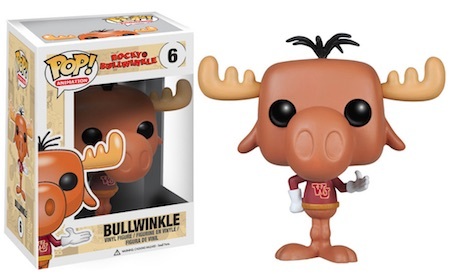 While the Rocky figure is pretty standard, Bullwinkle wears his WU sweatshirt in honor of Wossamotta University, which is where the moose attended college on a football scholarship. 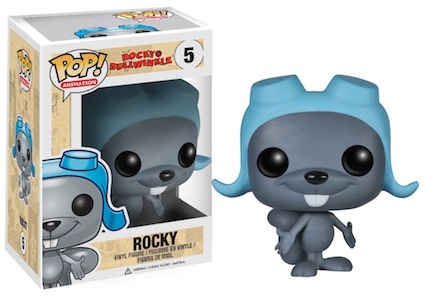 Shop Funko Rocky and Bullwinkle Figures on Amazon. The second series released near the end of 2018 and greatly expanded the set. Although the Rocky update is minimal, Bullwinkle is ready to perform magic in his tuxedo and top hat. 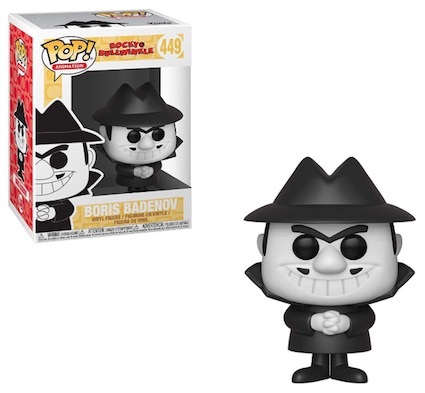 Fans can also track down the evil spies Boris Badenov and Natasha Fatale, plus their boss, Fearless Leader. Initially made famous with The Adventures of Rocky and Bullwinkle and Friends in 1959, the cartoon series has been released under a variety of titles over the years, including a live-action movie. However, Rocky (the flying squirrel) and Bullwinkle (the moose) have remained a constant. FUNKO POP ANIMATION Rocky & Bullwinkle Rocky 4 inch VINYL FIGURE NEW! FUNKO POP ANIMATION Rocky & Bullwinkle Boris Badenov 4 inch VINYL FIGURE NEW! 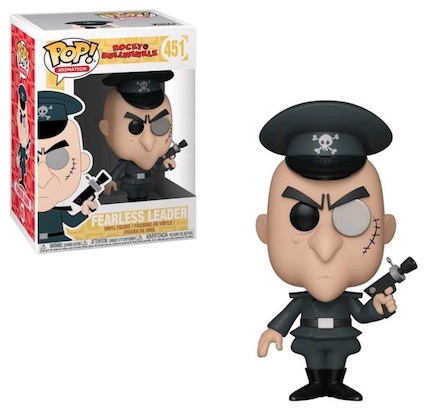 FUNKO POP ANIMATION Rocky & Bullwinkle Fearless Leader 4 inch VINYL FIGURE NEW! FUNKO POP ANIMATION Rocky & Bullwinkle Natasha 4 inch VINYL FIGURE NEW! FUNKO POP ANIMATION Rocky & Bullwinkle Bullwinkle 4 inch VINYL FIGURE NEW! 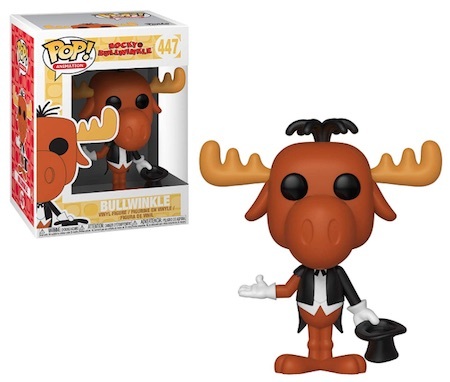 Rocky & Bullwinkle - Bullwinkle Pop! Vinyl Figure - FunKo Free Shipping! Rocky & Bullwinkle Complete Set (5) Funko Pop!